Oak and beech farmhouse table made for a Norfolk farmer. Pegged Mortice and tenon construction, and made in the tradition of 19th century French farmhouse tables, made for the farmhouse to last a lifetime. 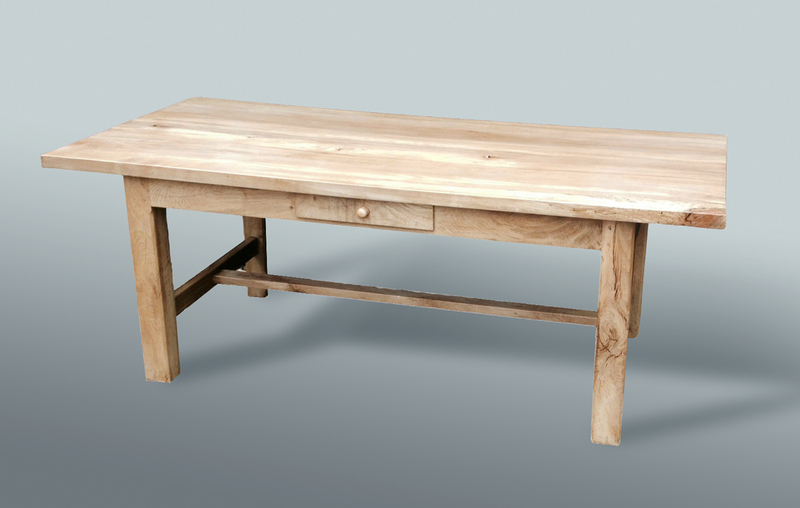 The table is made from trees felled and seasoned on his own farm. The table was left very lightly finished to allow it to develop use related patina over time.